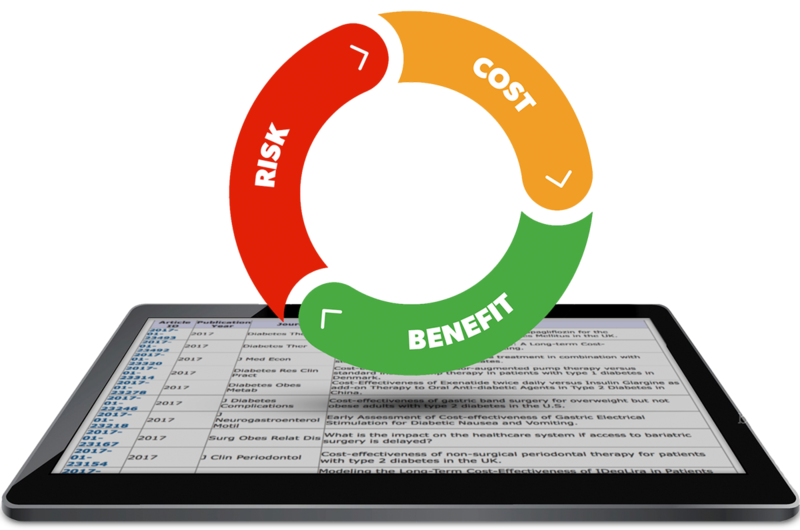 CEVR analyzes the benefits, risks, and costs of strategies to improve health and health care. Neumann PJ, Kim DD, Trikalinos TA, Sculpher MJ, Salomon JA, Prosser LA, Owens DK, Meltzer DO, Kuntz KM, Krahn M, Feeny D, Basu A, Russell LB, Siegel JE, Ganiats TG, Sanders GD. Future Directions for Cost-effectiveness Analyses in Health and Medicine. Medical Decision Making 2018;38:767-77. Neumann PJ, Weissman H. "The FDA’s New Guidance On Payer Communications: Implications For Real-World Data And Value-Based Contracts," Health Affairs Blog, July 17, 2018. Leech AA, Kim DD, Cohen JT, Neumann PJ. Use and Misuse of Cost-Effectiveness Analysis Thresholds in Low- and Middle-Income Countries: Trends in Cost-per-DALY Studies. Value in Health 2018;21(7):759–61. Chambers JD, Kim DD, Pope EF, Graff JS, Wilkinson CL, Neumann PJ. Specialty Drug Coverage Varies Across Commercial Health Plans In The US. Health Affairs 2018;37(7):1041–7. Thorat T, Neumann PJ, Chambers JD. Hemophilia burden of disease: A systematic review of the cost-utility literature for hemophilia. Journal of Managed Care & Specialty Pharmacy 2018;24(7):632–42. Neumann PJ, Cohen JT. QALYs in 2018—Advantages and Concerns. Jama 2018;319(24):2473. Kim DD, Arterburn DE, Sullivan SD, Basu A. Economic Value of Greater Access to Bariatric Procedures for Patients With Severe Obesity and Diabetes. Medical Care 2018;:1. Chambers J, Pope E, Bungay K, Cohen JT, Ciarametaro M, Dubois R, Neumann PJ. A comparison of coverage restrictions for biopharmaceuticals and medical procedures. Value in Health 2018;21(4):400–6. Parsons SK, Kelly MJ, Cohen JT, Castellino SM, Henderson T, Kelly KM, Keller FG, Henzer TJ, Kumar AJ, Johnson P, Meyer RM, Radford J, Raemaekers J, Hodgson DC, Evens AM. Early-stage Hodgkin lymphoma in the modern era: simulation modelling to delineate long-term patient outcomes. Br J Haematol. 2018 Apr 29. doi: 10.1111/bjh.15255. Olchanski N, Vest A, Cohen JT, Neumann PJ, DeNofrio D. Cost Comparison Across Heart Failure Patients With Reduced And Preserved Ejection Fractions: Analyses Of Inpatient Decompensated Heart Failure Admissions. Journal of the American College of Cardiology 2018;67(13):1469. Our team of experienced, dedicated researchers is led by health economists Peter Neumann and Josh Cohen. Together we produce cutting-edge health care cost-effectiveness research. Our comprehensive databases provide the information individuals and organizations need to analyze the benefits, risks, and costs of strategies to improve health and health care. The CEA Registry is a comprehensive database of 5,655 cost-utility analyses on a wide variety of diseases and treatments. The GH CEA Registry is the first comprehensive database to compile articles utilizing the “cost-per-DALY averted” metric to measure the efficacy of health interventions. The Specialty Drug Evidence and Coverage (SPEC) Database is a new data resource developed with the goal of providing an empirical basis to commercial payer specialty drug coverage.